Carter started his first big holiday by sleeping in until 8:20! We played and watched the Macy's Thanksgiving Day Parade. 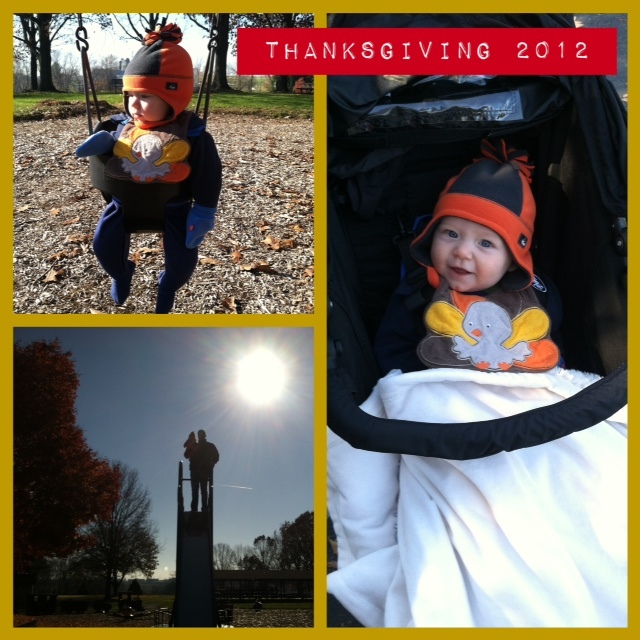 Then we were off to the park to take our Thanksgiving morning family walk and play on the playground. Then we spent the afternoon/evening with my family at my parent's house. 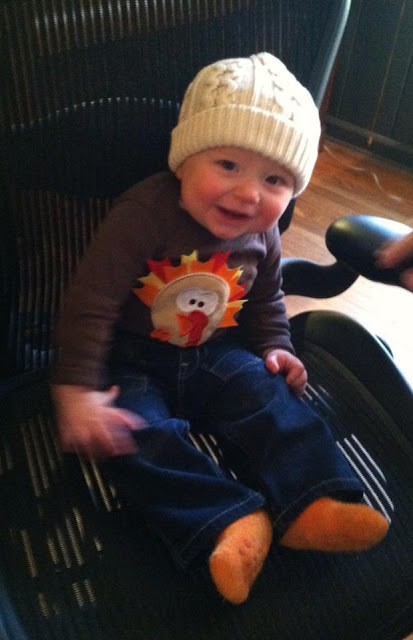 Carter's thanksgiving feast included mango, pears, and oatmeal. Not necessarily traditional, but so yummy anyway! So thankful to have Carter around this Thanksgiving. Love him!